Hafa Adai. Welcome to Inarajan! Inarajan is a small and beautiful village located along Inarajan Bay in Guam’s southern region. This seaside community is nestled between the villages of Talafofo and Merizo. Traveling to and from Inarajan should take you no more than a half hour drive to get to all the island’s major villages. It will take less than half an hour to get to both the U.S. Naval Station in Santa Rita, and the U.S. Naval Hospital in Agana. 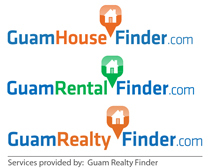 The driving time is also the same when traveling to Guam’s downtown area in Tamuning. Plus, traffic in this area is almost non-existent. The first positive benefit of living in Inarajan is the beautiful scenery you’ll witness everyday on your daily commute. The drive to and from the village provides a spectacular visual experience full of mountains, valleys, lush vegetation, and breath-taking ocean views. Inarajan is truly the untouched paradise of Guam. When entering the village, you will be automatically greeted by the village’s history and culture. Many remnants of the ancient Chamorro civilization and Spanish explorers from Guam’s history remain prevalent. The village is filled with lush vegetation, clean air – crisp with freshness, and beautiful coastal waters. Inarajan is a beautiful seaside community with a population around 3,052 people. This quaint village is mostly comprised of a small number of families that have lived in this area over many years. The village is known to be “untouched by the hands of time”, keeping its original essence and remaining intact over the years. The homes that exist in this village reflect a mixture of architecture influenced by the Spanish and early American colonization periods. The homes in Inarajan are older homes that have been around for many years. Very few modern structures have been erected. This reflects the culture of the village. This particular village retains many of its traditional ways and shows it with the St. Joseph church remaining at the center of many of the village’s activities. Inarajan is complete with a Public health clinic, a solid waste transfer station, a gas station, a convenience store, ATMs, the University of Guam Experiment Station, a Senior Citizens Center, a Fire Station, a Department of Public Works bus satellite station, a U.S. Post Office, and a waste water treatment plant. There is also a middle school in the village with bus stops located throughout the community. If you are one to relax and enjoy the wonderful outdoors, then look no further than Inarajan. There are many natural swimming holes in the village, which are popular among the locals. The land is lush with trees that bare mangoes, macadamia nuts, star apples, coconuts and more. One of the more popular scenic attractions of the village is the Inarajan Pool. It is a natural saltwater pool that is connected to the Pacific Ocean, but sheltered from waves and the ocean’s current. Other great scenic attractions of the area are Gadao’s Cave and Bear Rock. The main attraction of the village is the Gef Pa’go Cultural Center. This cultural center attracts many visitors to the village. It features ancient style thatched-roof huts and is staffed mainly by elder Chamorros who demonstrate traditional Chamorro arts, crafts, and cooking to its visitors. This cultural center also provides a younger group of Chamorro cultural dancers that perform for the visitors of their village. Paradise is just outside your doorstep! You are sure to experience the essence of island life here in Inarajan. Come enjoy paradise. See you there!